As far as photography goes this has been a pretty lousy winter in Massachusetts so far. Having the need to scratch the itch I have been scouting other areas in New England where there may be some snow opportunities. Bingo! Last week there was a snowstorm forecast in Vermont so, with visions of fairytale winter landscapes dancing in my mind, I made some last minute reservations and headed up to Waitsfield. I left at 6.30am to try to avoid the early storm but I ended up getting caught in it sooner than expected and then had a much slower drive. I still arrived around 10.30 so I made my way to Northfield, famous for its red covered bridges. 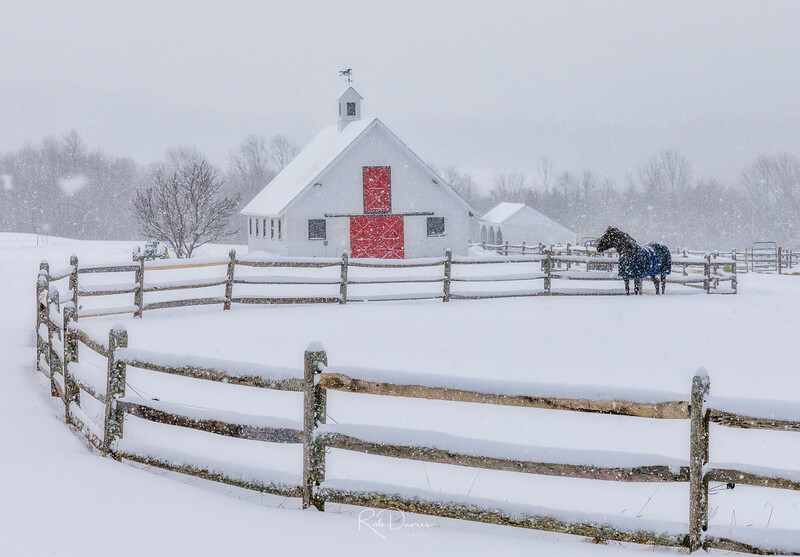 The scenery was breathtaking, with the trees coated in snow, farms and barns looking like something from a magazine, mountainsides a winter wonderland. A landscape photographer’s dream! I was eager to get out and shoot even though the snow was falling, although it did so periodically. The next day it snowed almost all day but there was no-one around so I could explore freely. It is such a great feeling, being in a snowstorm, so quiet, the crunch underfoot and beautiful scenery surrounding me. I found on this trip (as with others in the past) that it is quite difficult to capture what your eye sees with a 16mm lens even though the temptation is to use this to convey the grand landscape. I found myself more often than not using the 24-70 and the 70-200mm to gain more detail and provide a tighter composition. One of my favorite farms, which I stopped at 3 times in different light and weather conditions was between Waitsfield and Northfield. On this occasion the snow was coming down and the horse showed up in its jacket. 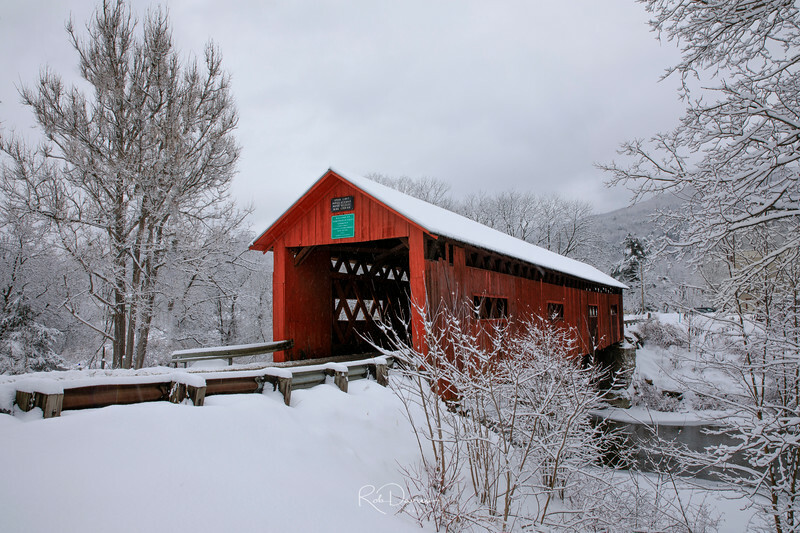 Stay tuned for more Vermont explorations!